Institute of Power Engineers, Vancouver, B.C. Welcome to the BC IPE Website! 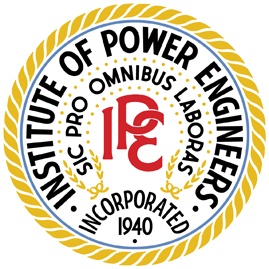 The Institute of Power Engineers is a professional organization made up of Power Engineers and people working in related fields. The IPE believes in continued competency for Power Engineers. We educate our members by providing them with technical presentations at General Meetings, as well as organizing conferences twice a year on current topics of interest. We hope you visit all areas of our web site and hope that you enjoy and find it useful. For full access to the site, click on "Sign in" in the upper right corner of the page and register. If you are a member of the Institute of Power Engineers, you will receive an email giving you full access. If you are not a member of the Institute of Power Engineers, please be sure to check out the Membership area. The Vancouver branch of the IPE meets monthly at the British Columbia Institute of Technology in room 1045, building SW1, unless otherwise noted on the meeting schedule. The meeting schedule for 2019 can be downloaded here. A map of the BCIT campus can be downloaded here. Past minutes can be found on the Meeting Minutes and Executive Information page. Our Code of ethics can be found here. We hope you visit all areas of our website and hope that you enjoy it and find it useful. For full access to the site, click on "Sign in" in the upper right corner of the page and register. If you are a member of the Institute of Power Engineers, you will receive an email giving you full access. If you are not a member of the Institute of Power Engineers, please be sure to check out the Membership area. workplace safety and training involving boiler and pressure vessel systems. To view the Code of Ethics, click here.